The laptop brush by Hay is suited to clean especially hard to reach places on the computer hardware. Whether between the keys or in fine grooves: the delicate brush frees from dirt and dust and ensures a flawless finish. Thanks to the soft bristles of natural hair, sensitive surfaces are protected from scratching. 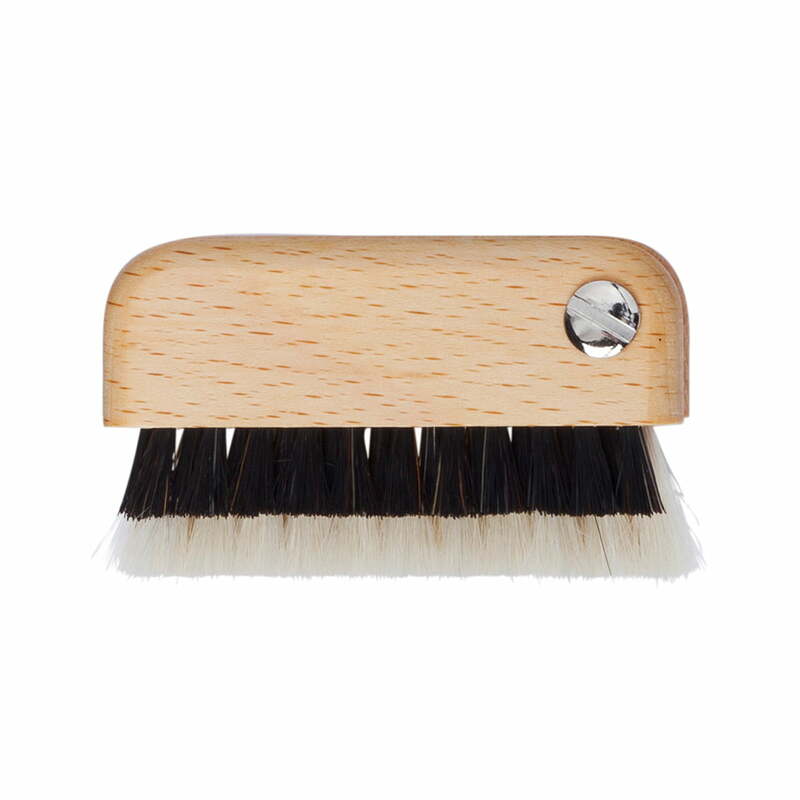 With a 7.5cm long handle made of beech wood and the natural hair bristles, the laptop brush is mostly made from natural materials. A silver metal screw on the handle gives the tool a small, shiny detail.